How would you like your students to call you “Mother?” This is how I am often addressed at ABC University in Liberia. If I were at a U.S. university and was called that name, it would have a totally different connotation than it does in Liberia. In Liberia, as in most of Africa and Asia, older people are treated with respect. Many of the older women on campus are referred to as “Ma.” No one would think anything about it if a student or worker would call me “Ma Vicki.” However I am still not for sure about that title, because as rural born girl it conjures up the picture of a very old wrinkled woman sitting on her front porch in a rocking chair smoking a corncob pipe. Never-the-less, just because of my age I am treated with respect. 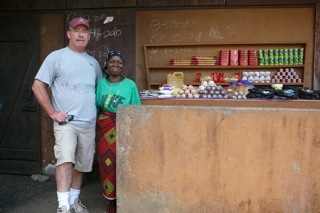 Ma Betty with Jon - She retired working as a housekeeper at ABCU and now runs a store on her front porch. This respect for older people is in juxtaposition to how we often view aging in the U.S. Look at the women’s magazines; it is all about staying young and beautiful. The image placed on the front cover of such a magazine often is an artificially thin young woman who has had her picture airbrushed to hide any flaws. The sad news is that we buy into the fact that this is a way a woman should look, even though most of us have never looked like that! Young is beautiful, while aging is seen as flaw that should be dealt with at any cost. I am part of the baby-boomer generation and there are a lot of us, so we may start to see a bit of a shift in what it means to get older. My age group has the discretionary funds to spend at the marketplace, so we are seeing more businesses catering to us. But the question remains why? Is it because they value the wisdom and experience of an older person or do they just want our consumer dollar? In my travels, I remember one Asian woman challenging me as a U.S. citizen. She said you Americans are concerned about the morality of others, but look at how you treat your elderly. She pointed out that we often cast aside older people and warehouse them in a nursing home. 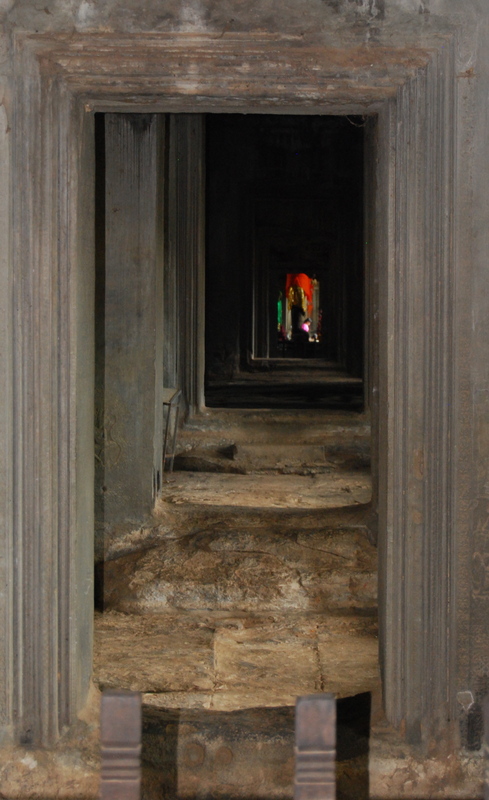 She noted that most Asians honor and respect their elders taking them into their homes to care for and give them comfort. What could I say…it was a humbling conversation. Ephesians 6:2-3 2 Honor your father and mother”—which is the first commandment with a promise— 3 “so that it may go well with you and that you may enjoy long life on the earth. I Timothy 5:3-4 3 Give proper recognition to those widows who are really in need. 4 But if a widow has children or grandchildren, these should learn first of all to put their religion into practice by caring for their own family and so repaying their parents and grandparents, for this is pleasing to God. Obviously as a baby boomer this idea of aging is becoming real to me. I find myself thinking, “What do you mean getting old – I will still be living by myself when I am ninety!” I truly have that independent U.S. cultural coursing through my veins. And then reality surfaces, if I reach that age I may not be able to live by myself; do I really want my daughter to have to take care of me when I get older? This question is often accompanied by the thought that I don’t want to be a burden to her, and I wouldn’t want her resenting having to take care of me. Though I haven’t hit this age yet, Pew Research found that every day (as of January, 2010) for the next 19 years 10,000 Americans will turn 65. 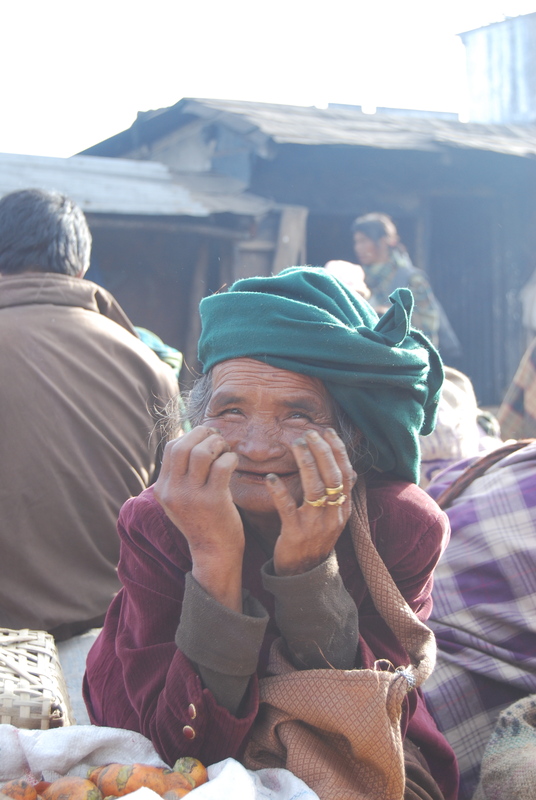 Our population is aging ~ how are we going to respond as women living in this fallen world? This week’s Think Through: What should be our attitude about aging? Are we responsible for the care of aging parents in our home? I encourage you to be real and honest, this is not a site where we need Christian platitudes. The guy with “ma Betty” is really handsome! I have no doubt you will be and what a wonderful example that you set for your childen.